The Youth Volunteer of the Year award is presented to one of our 18 and younger volunteers who have shown great commitment and diligence to their volunteer work. 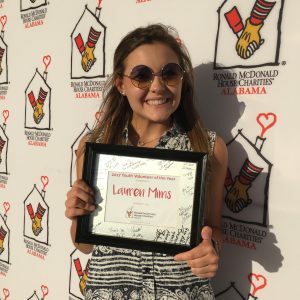 Lauren Mims has served our organization in many ways: as a House Helpers, by providing meals for our families, helping at special events, serving on our Student Leadership Council, and serving as a community liaison for our charity at several events. Lauren goes above and beyond and is always willing to help out where ever there is a need. 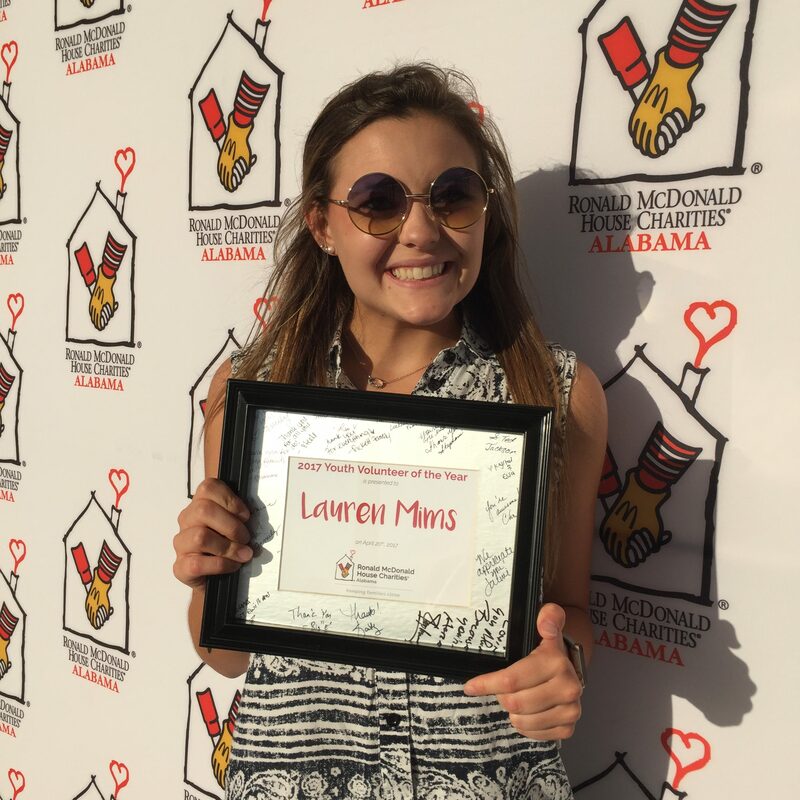 Lauren says one of her favorite things about serving at RMHCA is the positivity. “There has never been a time that I have left the house feeling down or discouraged. I am always inspired by the strong individuals and families that I encounter while volunteering,” she said. 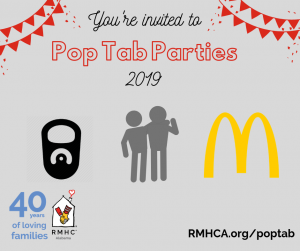 Thank you, Lauren, for all your hard work!